Whenever you plan to open a business, what’s the first thought that strikes you? Do you plan on achieving a certain goal in a specific period? Do you wish to achieve great profits? Do you visualize yourself gaining a good head start over other newbies in the market? Do you wish to expand your market reach internationally or do you wish to capture the local market first? Lot of speculation to keep up with, isn’t it? But let’s face it, your business will never gain a good head start, skyrocketing profits or expand at a global level, if it is not planning to be more customer oriented. Your customers make you the breadwinner of your company. Keeping them delighted with your products and services should be your primary goal. And you know what, they’ll love it if you are more customer-centric rather than a profit building machine. That’s why you need to focus more on how to achieve customer satisfaction than to focus your resources on acquiring new ones. Learn to retain the existing ones and work towards achieving customer satisfaction. For that, start from understanding their needs and then build your products or services around them. In short, you need to be an expert to understand how you can ensure higher customer satisfaction rate. But in case you’re new to the market or haven’t worked through the road of being an expert, then it’s time you read what market experts have to better services to achieve customer satisfaction efficiently. 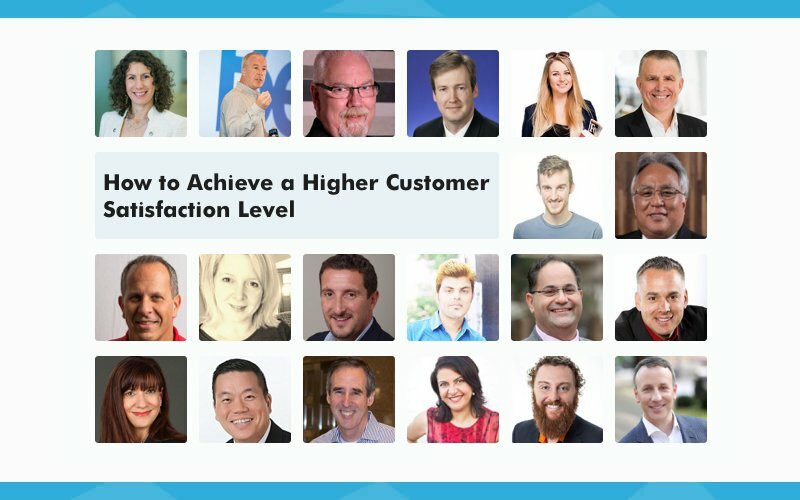 So, here’s what experts have to say on how to achieve high customer satisfaction level. When a customer has a problem, make sure you solve the problem for the first time and every time, wherever possible. Always be working to make your business easier and simpler to do business with. When a customer wants to speak to someone make it quick and easy for them to do so. To ensure a higher level of customer satisfaction today, personalize the customer experience and fill the gaps between you and the customers. Where there is a gap, there is potential for greater satisfaction. A gap in understanding? Fill it and you make the customers' lives easier and they are far more satisfied. A gap inflexibility? Fill it and beat out your competition who annoys customers with rigid procedures. A gap in speed? Speed the customer experience along and you speed the customers to higher levels of satisfaction. Gaps represent the moments where customers wonder who cares about them. Fill that gap and you win the customer's hearts and loyalty. Adapt to fill the gaps! "What are you hearing?" If a company has a survey process based on the average return rate, they may know only 15% of customer complaints or concerns. But frontline employees know 100% of your customers' complaints because they hear it all day long. So listen and then act. Work hard to remove all the potential customer dissatisfiers. "What can I do for you?" You cannot satisfy customers with disengaged employees. Start there first. Your employees can only deliver a level of service that they have personally experienced for themselves. So if you take care of your employees better than they expect, they will do the same for your customers. There are many methods for achieving a higher customer satisfaction level; the key is assessing which methods are most likely to be successful with your customer base. Do your customers prefer speed or quality? Do they prefer luxury or affordability? Do they prefer digital to in-person service? 3) Do both of the above consistently. Get the basics right, consistently. So many marketing and CX professionals want to "surprise and delight" customers, which is great. But neither will have a lasting effect if your company's day-to-day basic interactions and experiences are flawed or inconsistent or make it hard to do business with you. Deliver on your promises. Brand marketing and sales interactions set customer expectations. So, don't promise, for example, a "wow" experience if what you offer is barely different than your competitors' experiences. As the adage goes, it's better to underpromise and overdeliver than the opposite. At best, do what you've said you'll do and be who you say you are, consistently. Be responsive; better yet, be proactive. Make it easy for customers to do business with you--and to get service and answers to questions when they need it. Known issue? Get out in front of it and tell customers what to expect, what actions they may need to take, and what you're doing to resolve the situation. The most surefire way to ensure customer satisfaction is to first ensure employee satisfaction. The best processes in the world can't make up for damages done by disengaged employees. A great way to better the experience for both your customers and your agents is to focus on the quality and accessibility of your centralized knowledge. Often times customers are impaired from receiving a fast resolution due to the fact that an agent is having to hunt around and wait to receive critical information. Not only is the customer delayed, but the agent is likely becoming burned out as well. Knowledge is the life-blood of any organization. What steps are you taking to curate the documented intelligence you've collected? Focus on generating quality knowledge, eliminating bad or out of date knowledge, and breaking down barriers to accessibility for those who need it. Your employees and your customers will be happier as a result! Customer satisfaction is a measure of what customers expected compared with what you delivered. Most people think that you have to ‘always do better.’ That is, strive to exceed customer expectations. It sounds nice, but it’s a recipe for disaster. Why? Because no business can afford to always raise customers’ expectations (they already creep up much too quickly) and stay in business. The only way, in my opinion, to authentically improve is to create more value for your customers. That doesn’t mean lower prices. Rather, organizations must learn their customers’ needs so well that they understand how to give them more of what they want (time, convenience, safety, etc.). Knowing what customers value is the first thing. Then, it’s necessary to engineer/design/retool the way the business works so that it becomes (permanently) better at delivering what customers want—naturally and profitably. The bottom line is this: don’t automatically jump to doing more of the same. Look at what customers truly want and become the best at delivering that. Do it in a timely and efficient way and you’ll see your scores go up. Maybe even way up! A Good information educates buyers about your brand and offerings. A solid infrastructure supports through the entire product lifecycle. Providing a complete experience is a big task, and your customers are more than willing to give your competitors a chance should you fail. Buyers are emotional creatures. They make their purchasing decisions based on how they feel though many will argue otherwise. Negative reviews from unreasonable people do just as much damage to your reputation as legitimate gripes. 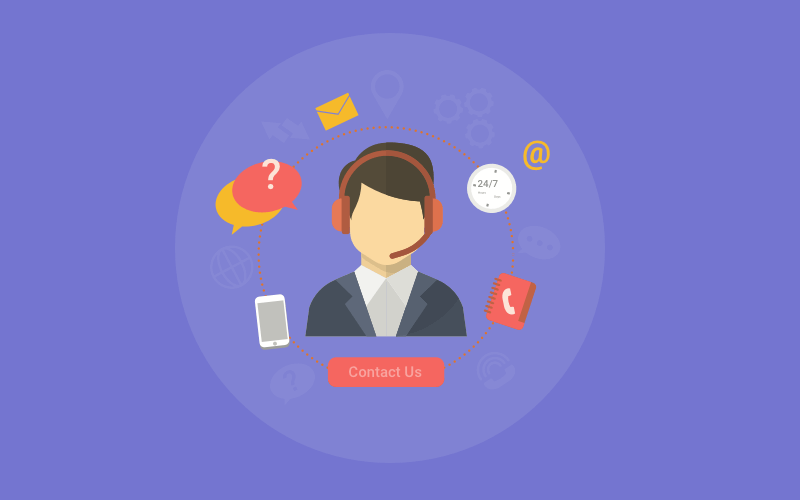 Your customer service representatives need to know what indicators to look for and follow procedures when faced with an overly emotional customer. Data captured in calls guides your agents and identifies emotional customers. First thing is to find out what they want! Too many businesses sell products and services they like or can do as opposed to what the customer actually wants. Make it easy for the customer to transact & communicate with you, be it face to face, on the phone, email, website or social media. Customer satisfaction is directly related to delivery against expectations. This is how MacDonald’s and a premium restaurant and both have a satisfaction rating of 5 out of 5 from the same person. So the only way to ensure high customer satisfaction levels is to understand your customer’s expectations and deliver just slightly ahead of them. Make an emotional connection. Making an emotional connection is based on understanding, empathy, and action. We must let the customer know that we understand their situation and their objectives, that we empathize with them and that we will work to help them get the outcome they are seeking. If the customer believes that we will do everything in our power to help them, we have already succeeded. Ask for feedback. “Is there anything else I can assist you with?”, allows the customer to ask for more assistance, and it can uncover hidden issues or concerns. We can’t resolve issues we aren’t aware of so creating an environment where the customer can share these issues is the first step to resolving them. Ensure your frontline staff has the tools and training to perform the services that are expected of them. Examine your policies and processes. Check for dysfunction, customer care is challenging enough without fighting internal policies, or dysfunctional processes that don’t make sense or needlessly create problems. Ask yourself if our processes and procedures helping our clients or protecting the organization from our customers. To improve the customer satisfaction level you need to do what I discuss in my book, PeopleShock: The Path to Profits When Customers Rule, which is to get the 3Ps of Promise, People & Process right. Know your values and make sure your staff know and buy into them. Treat your staff well, train them well, and let them use discretion to solve customer problems. Finally, streamline your processes to make things easy for your customers (and your staff). Let customers communicate their way. If the customer wants to communicate via an app (mobile app, social messenger, etc. ), allow them to connect with the app. If they want to text with agents, let them text. If their preference is video, let them do video calls with your agents. 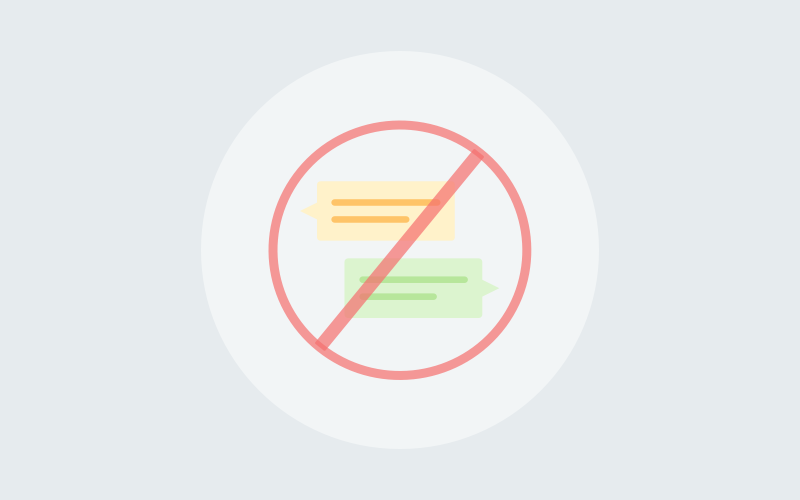 There is no reason to make a Millennial, for instance, call into a voice queue when they hate talking on the phone and wish to communicate via SMS or web chat. If a customer has a chat interaction one day and the next day they call, they want that agent to have a transcript from their chat and have some context as to why they are calling. It does not serve customers to have data siloed. Customers want to be recognized and whether they are engaged by phone, chat, SMS or Facebook Messenger, they expect agents to know who they are, have access to their interaction history and do not want to start from scratch each time they connect to an agent. - Automation (AI Chatbots, web self-serve, etc.) are taking away "easy" customer service interactions. What is left are tougher, more complex customer issues. Solving this requires employees with a higher skill level, better technical knowledge, and more emotional intelligence. Can you attract them to your company? Are your contact center job descriptions, hiring protocols and onboarding process up to the challenge of finding these highly skills employees? - Gamification, micro-learning and adaptive learning are the latest trends in training. Does your training team use these techniques in their new hire training? How about during booster shot training for existing Agents, Coaches and Managers? - You could see the disappointment on his face! I am referring to an Agent who went from a high tech contact center to one that was still struggling to implement a very basic CRM system. He had used a preview dialer at his old job. He was shocked at having to read a customer phone number on his computer screen and then manually dial the number on his landline phone. Do new hires at your company experience some type of "expectation failure" upon seeing your contact center equipment? Do they have the systems and support they need to "wow" your customers? Give them what they need, so your customers get what THEY need! This is so important to us that we brought aboard a culture officer last year, who is tasked with implementing two new outreach surveys that will allow us to keep a pulse on our service. One is a quick post-chat survey to website visitors, the other a client-facing review in our community portal. Both are incredibly important, unique and transparent. We want everyone to know how we’re doing and for all voices to be heard. The more visible the results, the quicker we can improve to remain devoted to serving our guests and clients. The vast majority of organizations are really unaware of how their policies, processes, practices, and people are cumulatively affecting customer satisfaction. It is important to be aware, at a strategic level, where you are and where you need to go. Customer service is a skill set. It is just not ‘common sense’ as many believe. Make sure employees have the physical, emotional and intellectual tools to deliver outstanding customer service. Empower employees to quickly and painlessly deal with the inevitable challenges, exceptions and service failures. Customer satisfaction can be treated as the result of a psychological process where a person compares the received product or service with their already set up standards that usually are their expectations. There are a few steps that need to be taken in order to ensure a higher Customer Satisfaction level. First of all, if we want to meet and exceed customers’ expectations, we should learn who our customers are, what are their needs, how they define their success and how our product can help them achieve it. It’s important to determine what are the pains and use cases specific to a particular customer. There are a few ways to get to know your customers, starting with the most generic ones like questionnaires or surveys and ending with in-depth customers interviews. According to the rule ‘if you can measure something, you can control it’, there is quite a number of methods by which it is possible to assess the level of customer satisfaction. 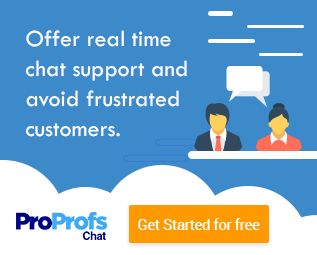 You can use Net Promoter Score (NPS), Customer Satisfaction Score (CSAT), Customer Effort Score (CES), you can send feedback surveys via email or in-app, but the bottom line is to make those metrics actionable. Your goal is to gain insight on what needs fixing, so you can chart an informed course for increased customer satisfaction. Each reply and score from the customer has to be answered and followed-up in a personalized way, so that our customers know that their voice matters. Of course, we should also introduce improvements based on the feedback we receive. The third step is to develop and maintain strong relationships with customers, which results in increasing satisfaction and loyalty. In order to do so, you need to treat your customers the way you would like to be treated, always be honest and don’t overpromise, when you make a mistake, admit it and genuinely apologize. Remember that your customers are human beings, not numbers, always personalize your messages, use emojis, be friendly and try to remember important facts about them. You can build a network with your customers by adding them on LinkedIn, following them on Twitter and interacting with them on social media. Show your customers that you’re not just ‘a company’s representative’ but you’re an awesome person that cares about their well-being. In my experience, the most effective way of ENSURING an organization achieves a higher customer satisfaction level is by aligning business processes with the customer journey. Focus on the low effort. Customers love it when you make things easy for them. Remove barriers, policies and complicated processes. The less effort it takes for your customers to get the job done they came to you to do, the more loyal to you they will become. Make it easy and they’ll come back, again and again. Not only will they be satisfied, but you’ll drive them toward the ultimate goal of customer loyalty, where the real behavior change takes place. They’ll come back, buy more and tell others. I’ve heard many people ask this question, ‘how do we ensure that our customer’s satisfaction never takes a back seat or how to achieve customer satisfaction?’. Well, in my opinion, they first need to understand what is customer satisfaction. Let’s not make it sound bookish. In simple words, it’s not just meeting their expectations but surpassing them. Customers hold a lot of expectations out of your services. Meeting each of them may look like a challenge and at times an option that is not feasible at profit level. But at the end of the day, it’s customers that should matter and whether they were ‘more than satisfied’ with your service. To reach that level, make sure that you think from a customer’s perspective. Will help your organization improve your services easily. Also to increase customer satisfaction rate, it is important you reduce the waiting time. You know customers look for instant answers. So try to manage or eliminate the waiting period or else your customers will look up to your competitors for services. Achieving a high customer satisfaction level doesn't magically happen. No product or service is perfect. Once you have feedback from customers, take actionable measures to help solve the problems that arise. While working on a business plan in its initial stage or a product, always keep this in mind - “Will my customers love it?”. If you fail to impress your customers with your services, you will eventually fall through the competition. To make it big, always understand what your customers look for in your service. Try to improve your services according to their needs. Never stress on the bigger picture. In fact, segment this picture into stages. See if these stages include your customer’s needs at all times. If your organization is always this ingrained towards making the services more customer-centric, then it’ll be easier to maintain the customer satisfaction at higher levels.